It’s been a laugh-inducing week in the world of Microsoft, something that we are quite grateful for, as it has afforded us more stories of humor than we usually get to write. 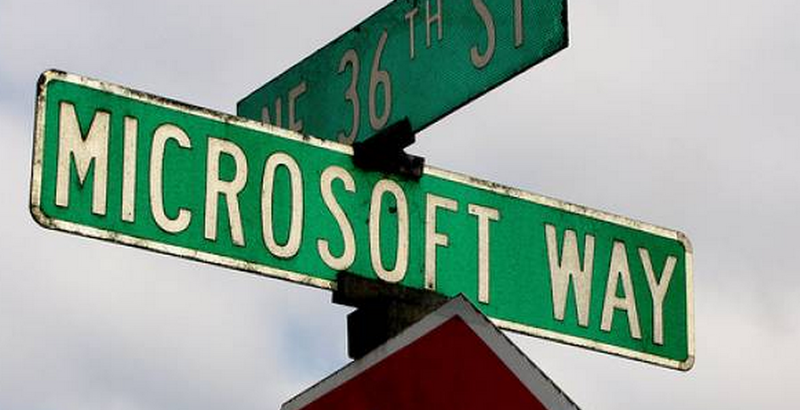 It’s not every week that Microsoft and another technology titan go head to head, after all. But the VMware v. Microsoft storyline was only part of the narrative, of course. Windows 8 continues to dominate the airwaves, as the market begins to salivate slightly, and grow leery at some of the design changes that Microsoft is making; it’s hard to trust what you have not tested. For this week’s question, sound off in the comments as to what feature you would most like to see baked into Windows 8. Now, make sure that you are following TNW Microsoft on Twitter, and Facebook. Have all of that sorted? Then let’s get into the news. It’s been quite the week for Windows 8, which is hardly surprising given how close we now are to the BUILD event, at which Microsoft is set to distribute the first officially consumable build of the forthcoming operating system. Recall, however, that Microsoft will not be handing out a beta, but instead a developer preview of the software. This week, we thought for a moment that Microsoft had released a picture of what the normal Windows 8 UI would look like, but were wrong. Microsoft did reveal the next version of Explorer, noting that it was bringing the ‘ribbon’ interface to the file management side of Windows. That news was met with scorn by many, noting that the interface appeared to be clunky and perhaps a bit stodgy. Frankly, it looked like Microsoft took old formulas and applied them to a different part of Windows; this was, obviously, not what people were hoping for, which was a re-imagining of every element of Windows, not simply sections of it. Another Windows 8 build leaked this week, numbered 7927. This build is older than dirt, but the market seemed quite excited to pirate it to no end. That is most of the Windows 8 week. If you want more, check the archives. Skype may be king of the VoIP world, but that is simply not enough for the corporation. As a side note, we are slowly moving our Skype coverage to the Microsoft side of TNW, in anticipation of the purchase closing. Skype, it seems, has noted that its service might be popular with a great host of demographics, but that its market share among the elderly is perhaps lower than it might be. This seems to be a response to that. Oh boy, it’s been a wild ride this week watching Microsoft and VMware go at it with one another. We’ll do our best to summarize what happened. Very early on Monday morning, Microsoft released a mini-site and video that mocked VMware, claiming that it had the wrong corporate DNA to properly execute on cloud computing, and that the company’s offerings were expensive. Why Monday morning? Microsoft picked that day as it was the start of VMware’s VMworld conference in Las Vegas. VMware then hit back later that day, with its CEO (an ex-softie) essentially declaring that the PC was about to trounced by other Internet connected devices. It was quite the response. Then, Dell got into the mix. You see, over a year ago, Microsoft’s Azure team and Dell launched a public partnership for Dell to build a cloud computing offering that would be based on Azure. Time passed, and Dell never brought forth a product, surprising the market. Guess who Dell just launched a cloud computing product with? If you said VMware, you are the winner! In other words, VMware nabbed Microsoft’s partner. It’s war, ladies and gentlemen. And that is that, everyone. Be sure you know where to find us, and we will see you all next week.